In each installment of our Educator Perspectives series, we interview teachers and administrators across the country who are engaging, motivating and challenging their students in unique ways. We share their obstacles, successes and strategies so we can build a community better prepared to mathematically equip all students. Dr. Wendy Kerr is an educator with over 20 years of experience. 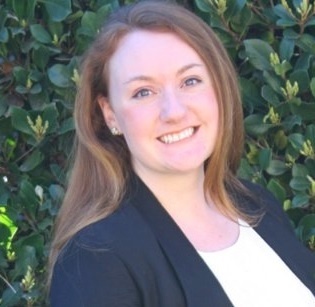 As the current principal and site administrator of Live Oak Elementary in Fallbrook, California, Dr. Kerr has seen the positive impact of personalized learning first-hand. Not only has there been a continual increase in Live Oak students’ Measures of Academic Progress (MAP) math scores over the past three years, there’s also been a shift in students’ attitudes toward academics. We recently sat down with Dr. Kerr to discuss her thoughts on personalized learning and its role in her school’s culture. The following interview has been edited for length and clarity. Q: What does personalized learning mean to you and why is it so important? WK: I grew up as a teacher where all students were grouped in a box and the instruction was very cookie-cutter. It left few options for creativity and for meeting a student at their individual level. We're now in a new era where we're having broader discussions about what meeting those students can look like. Personalized learning isn’t a new concept—it’s been around. I think what's important is that we're now at a point now where we can go deeper into it. At my site, we talk about personalized learning by name and by need. Every single student matters, so we aim to drill down to each individual student’s level. We talk about our school-wide goals to the grade level goals to the classroom goals. I’m continually asking our teachers, “what's the next level?” If we're really going to support and catapult each individual student to their next level, we have to know who they are: their name, their story and their needs. It takes a lot of time to do that, but it's worth it. Q: What did your school’s culture look like when you first became principal? WK: I became the principal of Live Oak four years ago and in that first year, the best thing for me to do was just to come in and see what's going on. I looked at the programs, instruction and demographics, and got a pulse on the whole school overall. At that time, we had what was called a newcomers class - a class for fourth through sixth grade students who were non-English speakers. We also had dual immersion classrooms at each grade level. That was the setup of the school when I arrived. All of that is nonexistent as of today. Q: And why is that? WK: During my first year, my newcomers class teacher came to me with a pitch for a math program that had no language, ST Math. At the time, I was finishing my doctorate and was very intrigued with research-based programs. We spent a couple of months reading about ST Math and really doing our homework before approaching our superintendent. I thought it was worth taking a look at for all of the English language learners in our community and in the majority of our schools. We were really intrigued with the non-linguistic and conceptual pieces of this math program and decided to give it a shot. Q: So your school implemented ST Math. Then what happened? WK: After we started using ST Math, our MAP math scores increased and the kids loved it! I'd walk into any given classroom and the kids were like, “Dr. Kerr, Dr. Kerr, I'm at 43 percent!” And then a few weeks later they’d share that they were at 52%. The program built motivational momentum. As a result, his teacher had him take a fourth grade assessment and he passed it. So this student who had just started school in the U.S. a little over a year ago, didn’t speak English well, and had a speech impediment, had fallen in love with math. Language wasn't a barrier for him to succeed. And there's multiple stories like this over time! Q: You saw a big impact on English language learner (ELL) students with ST Math’s personalized learning, but what about other students? WK: Overall, ST Math helped everybody make gains. I think that's the important thing right now. Every individual is having growth. Our school also had large gains in our special education subgroup. I have a very large special education department here with about 105 IEPs. So when we're looking at personalized learning, even for our most struggling students, the gains that they're making in math have been phenomenal. Q: What about the parents at your school? How have they been included? WK: Parents were another building block for us in nurturing our personalized learning culture. Getting parent buy-in and understanding can elevate support at home. We have a STEAM night where we set up an ST Math station so the kids can demonstrate the program to their parents. Over the last couple of years, we’ve also given our parents a much better understanding of the research behind ST Math and they appreciate that, which is great. Parents are also huge factor when it comes to the success of our IEPs. When we're having those meetings, we own our checklist. We ask the parents if they have a computer at home - a tablet, internet? And then we cross that bridge if they don’t. But if they do, we reiterate that the students have a real opportunity for even more growth. Home practice has been stronger for us these last couple of years. 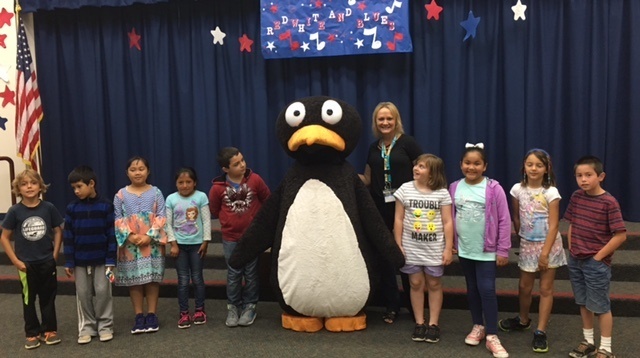 Live Oak Elementary students celebrate their ST Math success with JiJi. Q: And your teachers? Were they receptive to ST Math and how are they encouraging the personalized learning culture? WK: Change can always be a challenge at first. Everyone’s happy to continue on their path until a trailblazer comes along and decides to try something different. My teachers know that when we're going to approach something new, I never say it's going to be new. I say, how is this going to look? Or, how can we embed this in what we're already doing? How can we use this tool to elevate what we're already doing to make us even more successful? Over time, teachers saw the benefits of deeper learning and the growth in math. Today, everyone’s excited about ST Math - it’s what we do day to day. Q: What are some other ways you’re using ST Math to elevate personalized learning? WK: After Christmas, we started talking about students who weren’t motivated in general. We track every student and their needs at our school. We took time to cluster some kids and motivational levels when it came to ST Math completion rates. I interviewed all those kids to see where they were feeling stuck. A large underlying issue is that they really didn't recognize what completion in the program meant. For example: my percentage is at 22%, but I really should be at 40%. Once that was really articulated to them, we saw a big shift in that cluster of kids. I also offered them an opportunity to come to the computer lab once a week at lunchtime to work with ST Math. They were genuinely excited about that and I’ve had a lot of attendance. Q: What’s a personal “win” you’ve felt since nurturing this culture of personalized learning at Live Oak? WK: I had a particular student with severe math anxiety, which I can relate to. I mean, she was mini-me and reminded me of my time in primary school. This third grader came to me crying, and told me that she wasn’t good at math. That was her mindset that had developed over time. She saw herself as not being able to learn. A few years with ST Math have made all the difference. If you were to talk to her today, she’d tell you that she knows how to do math now. She’d say, “JiJi taught me how to see the math and now I can picture it.” She loves the visuals. It's the way she needed to learn. Two years ago, she was done and had shut down. Today, she loves math. Isn't that the point of personal learning? Just really tapping into how a person learns and then giving them the right tools and support to explore that process. MIND would like to thank Dr. Wendy Kerr for sharing her perspective and some of Live Oak’s successes with us!